SmartAVI’s Audio Series delivers user-friendly management over the latest in digital audio sources. 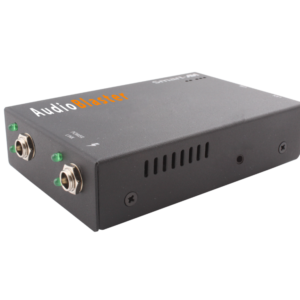 The audio series includes audio splitters, audio switches and digital-to-analog audio converters. Each audio product is plug-and-play ready and features top of the line fidelity. SmartAVI audio solutions also include “audio signage” products that manage audio announcements, in-store music, telephone hold messages and a host of other key audio functions in professional settings. 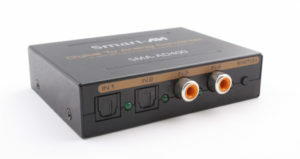 Easy to install, use and enjoy, SmartAVI audio solutions are the perfect fit for your A/V environment! 4×4 Digital Audio Switch: manage 4 audio inputs and 4 outputs from one convenient box. 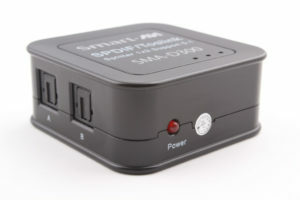 Split one optical audio signal input to three optical audio signal outputs. Digital-to-analog audio converter: switch four digital stereo audio inputs into two analog stereo audio outputs. Expandable audio advertising and announcement system.